Simply Amazing! 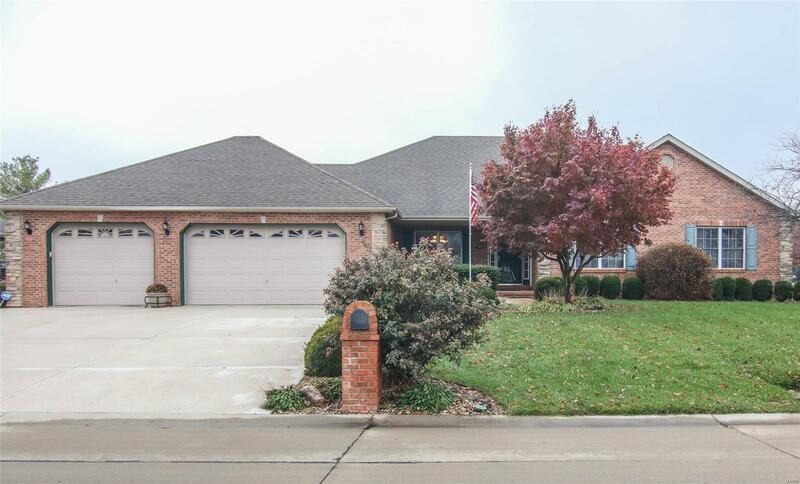 This beautiful 3 Bedroom 3.5 bath brick ranch home with a large fenced in backyard with a covered back patio has so much to offer. This open floor plan greets you with a large entry with hardwood flooring, separate dining room and office/den area flowing into a great room where you will find a beautiful stone gas fireplace. If you love to entertain then you will love this bright and inviting kitchen which boasts custom cabinetry, crown molding, large center island, granite countertops, pantry and stainless-steel appliances and an adjacent hearth room that leads out to the covered patio. Oversized master suite walk in closet and a private bathroom. Expansive finished LL with giant living room, rec room, exercise room, full bath and a large storage area. Fully finished and insulated oversized three car garage with work area too! New HVAC unit and Water Heater installed in 2016.